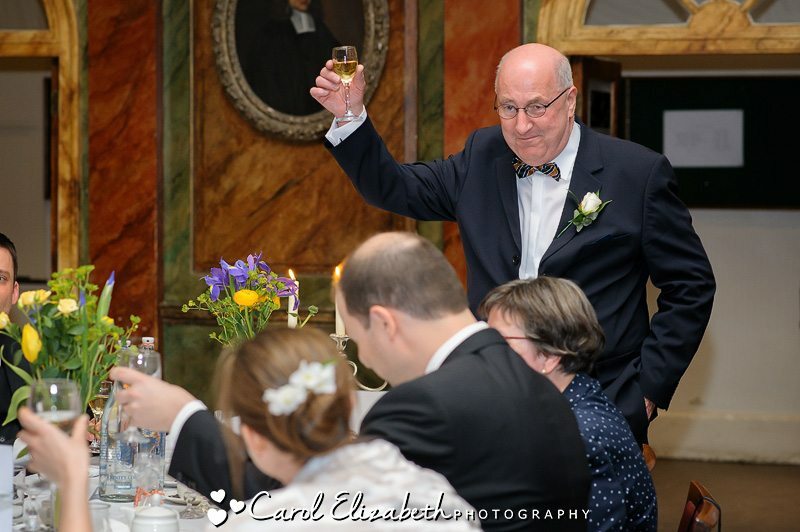 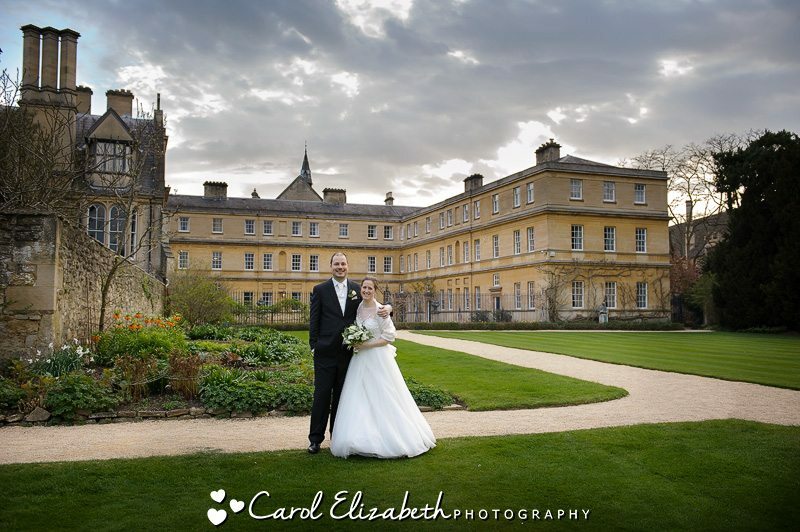 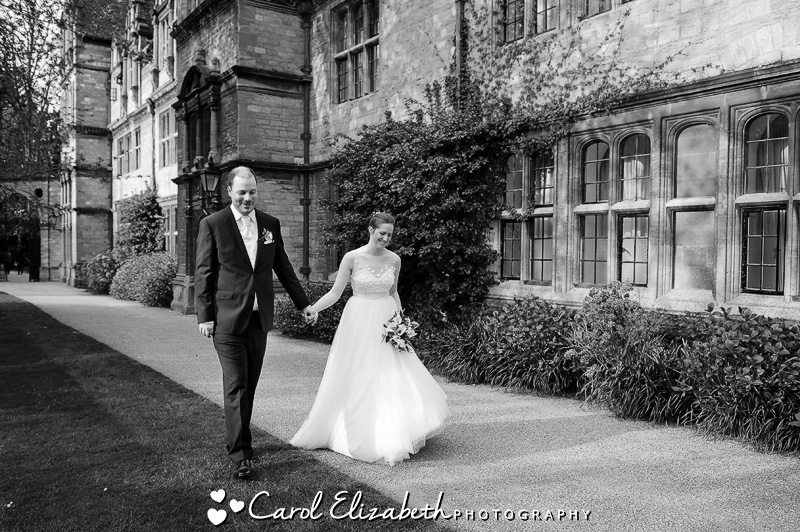 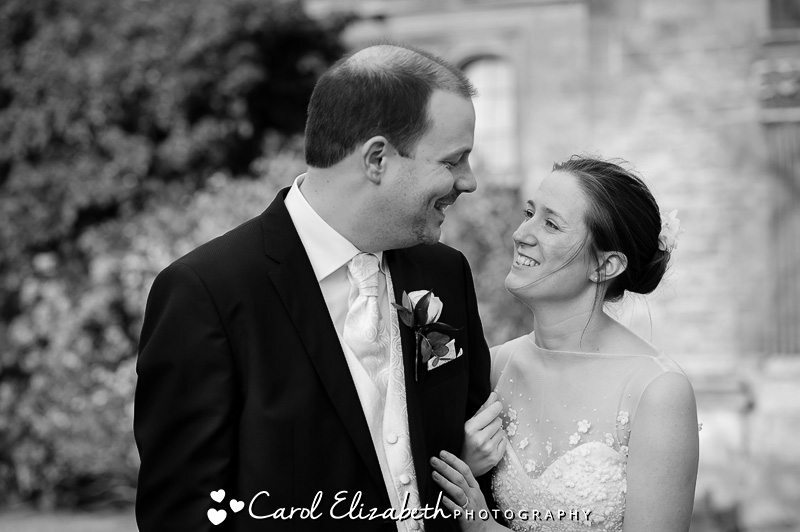 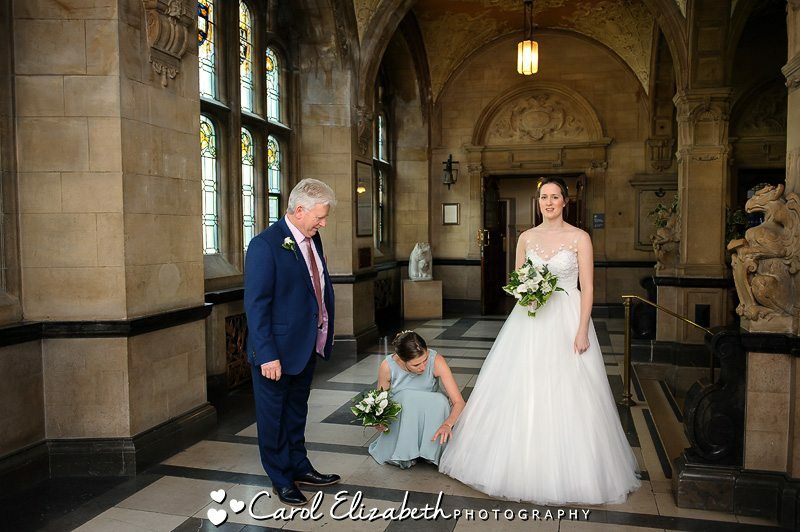 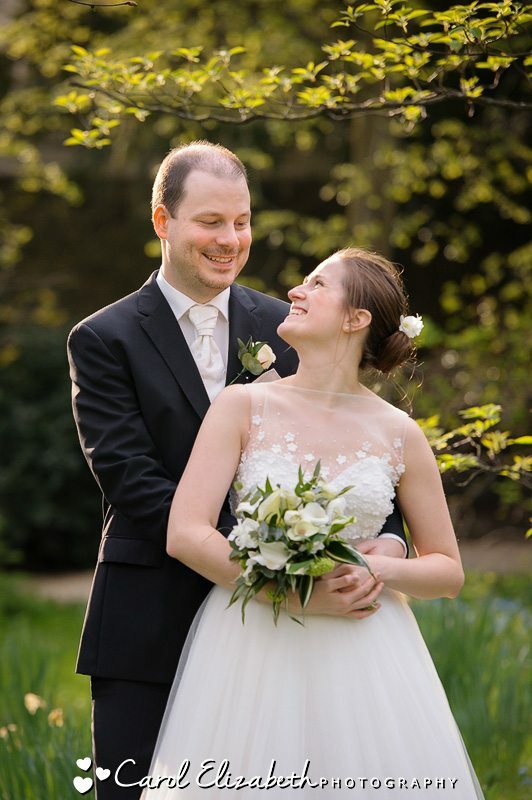 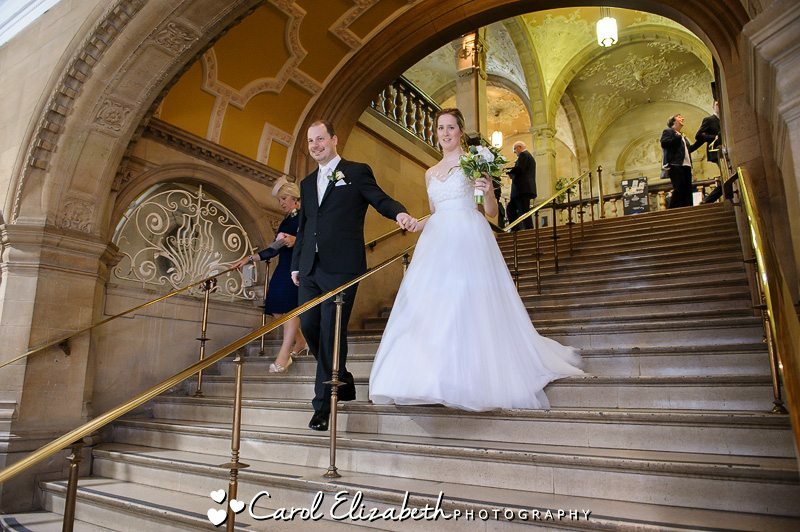 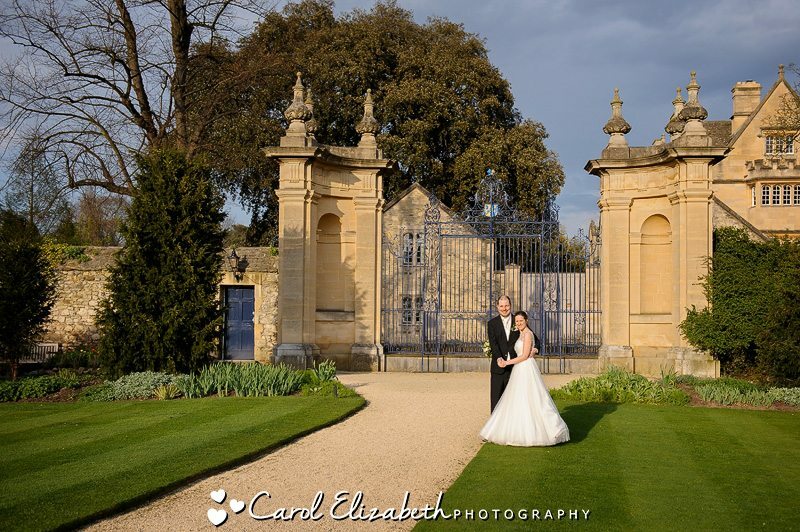 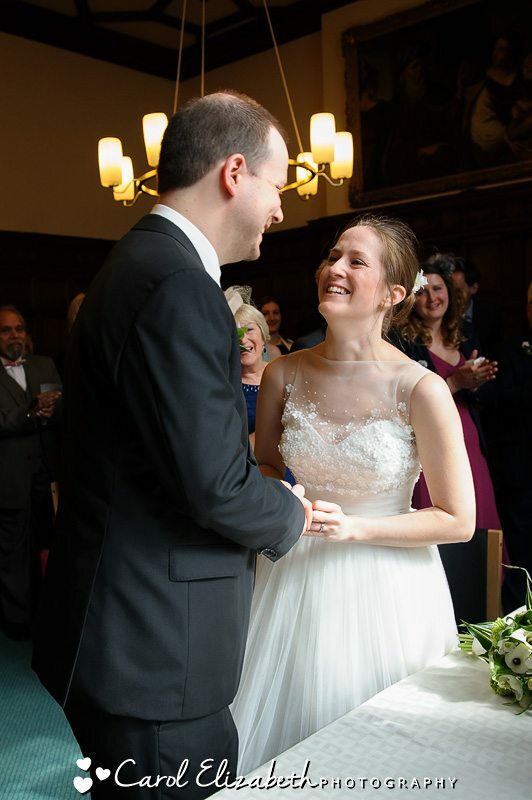 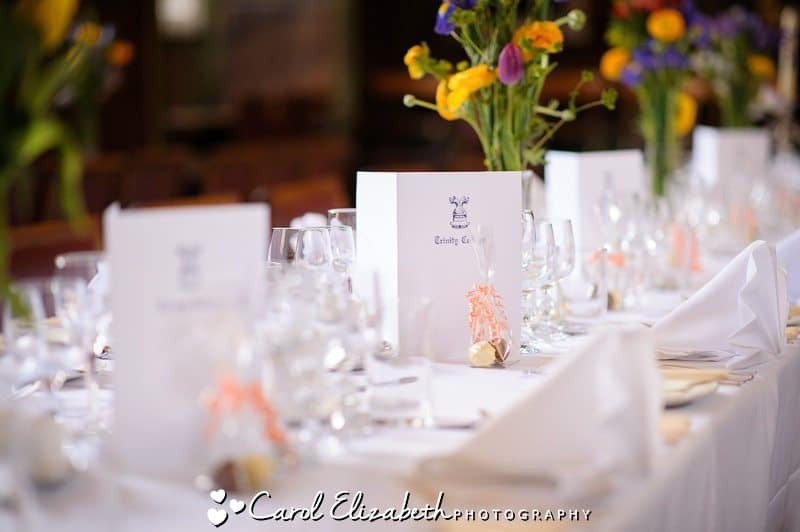 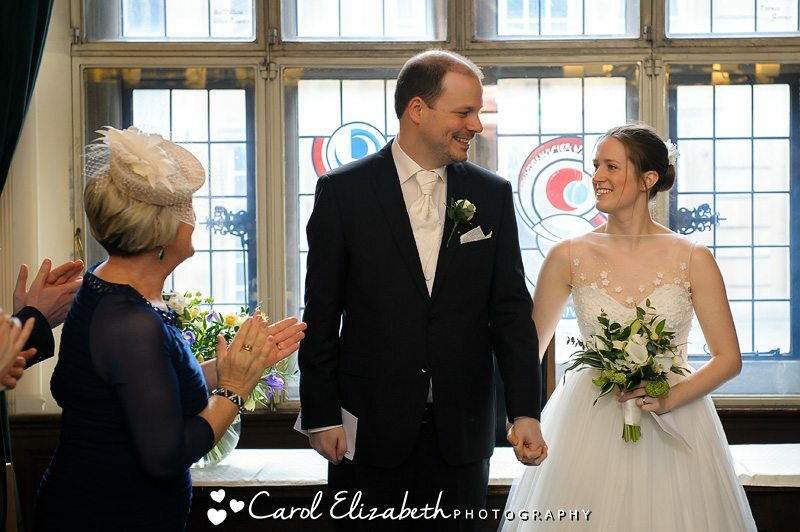 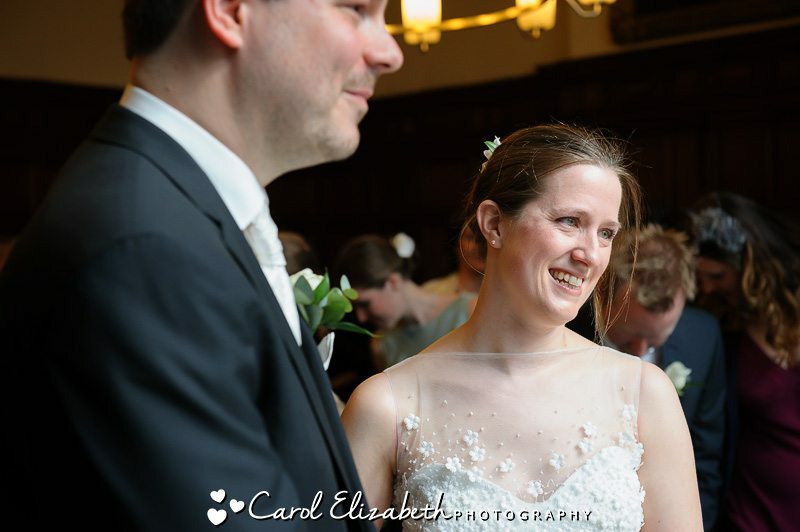 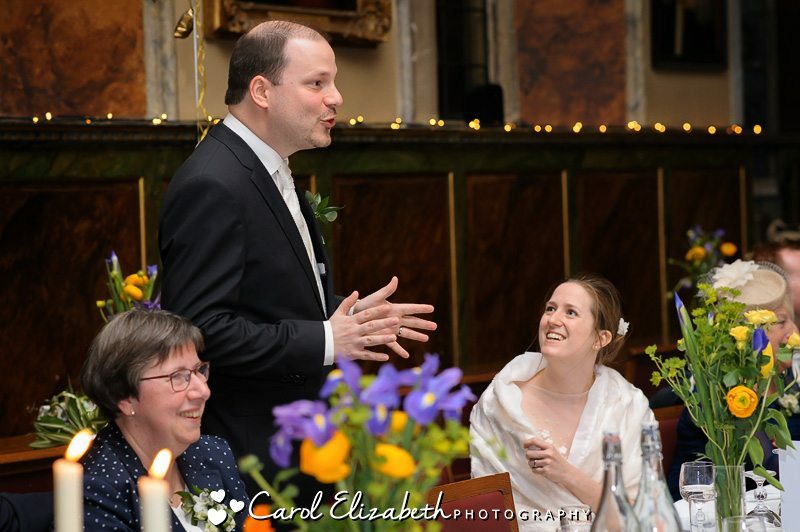 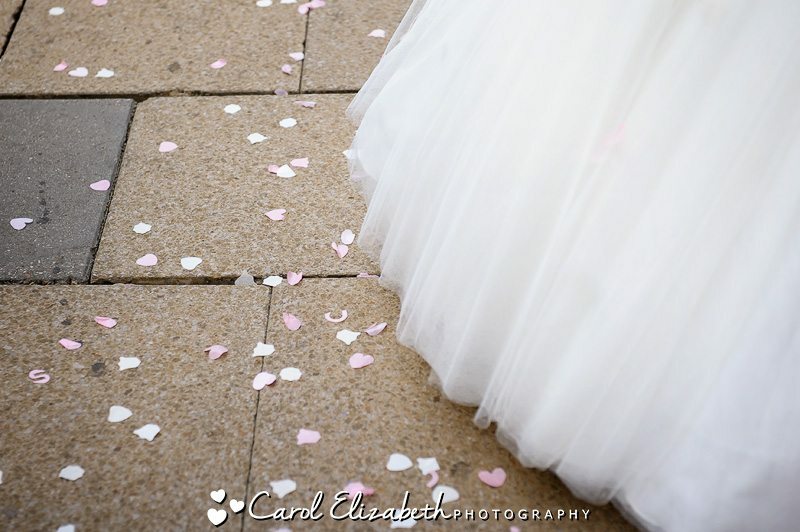 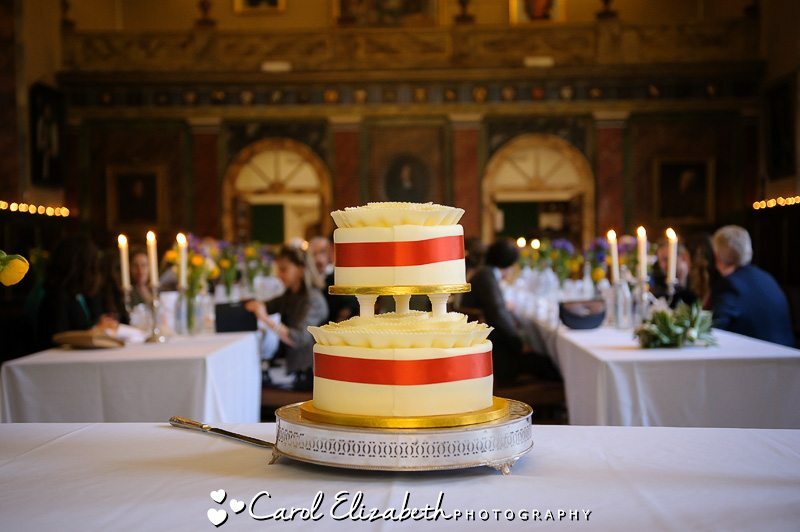 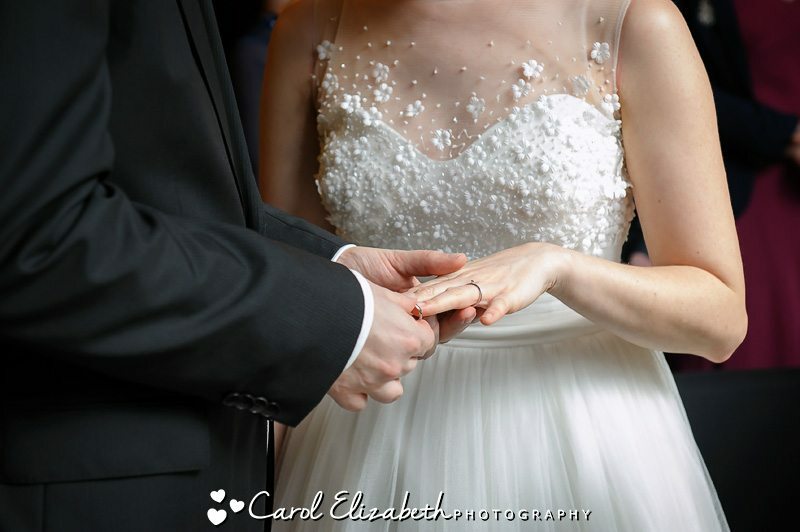 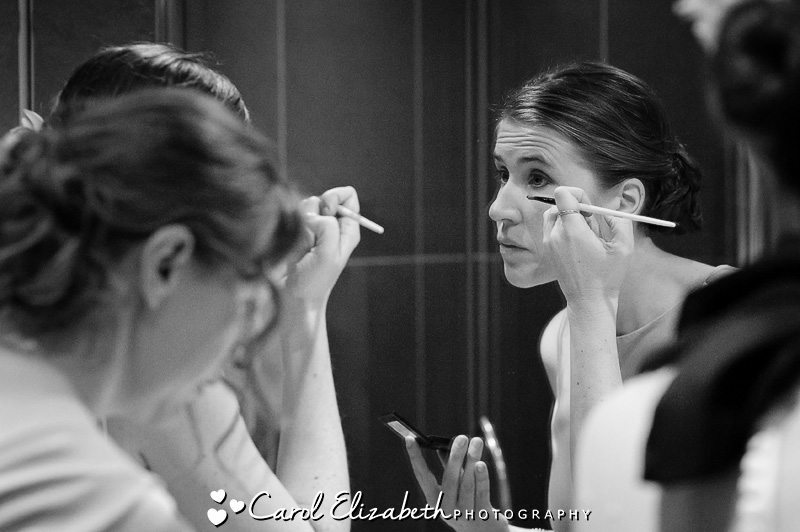 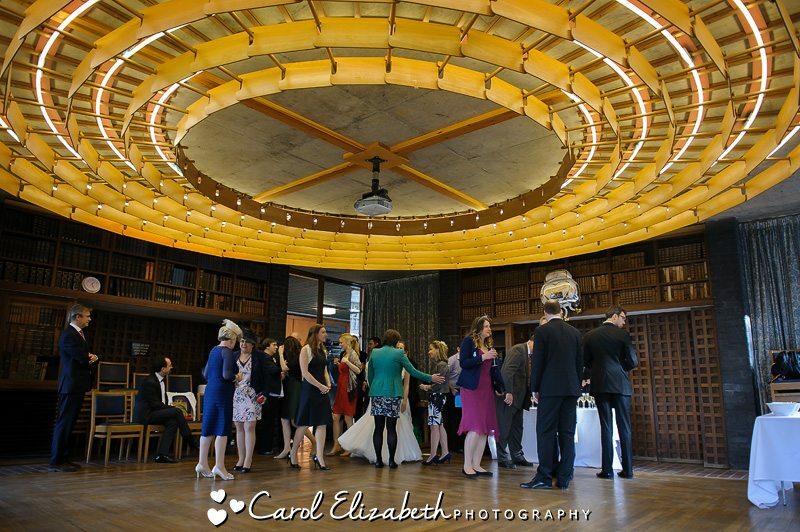 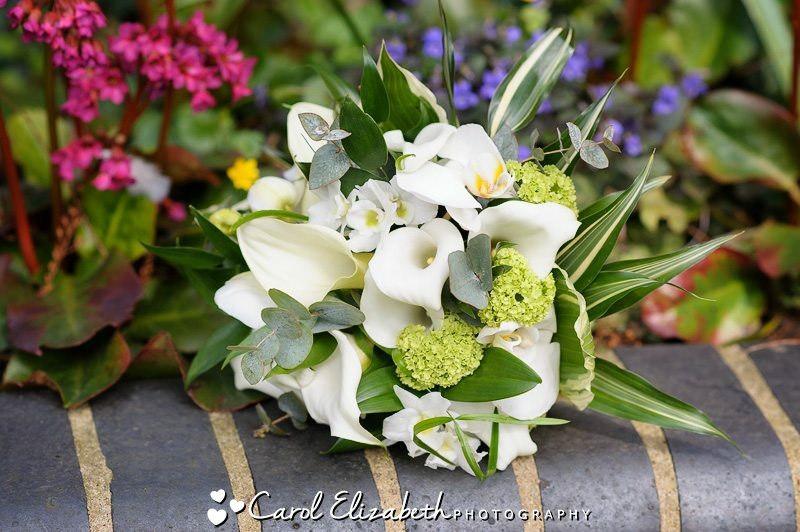 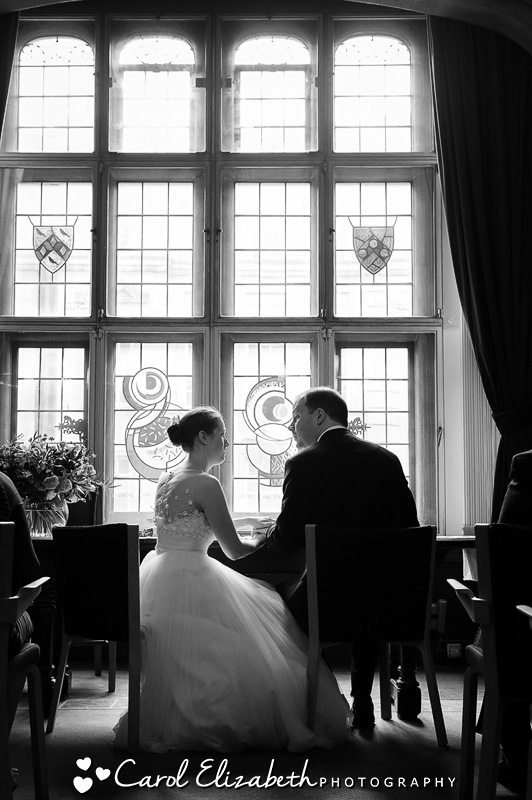 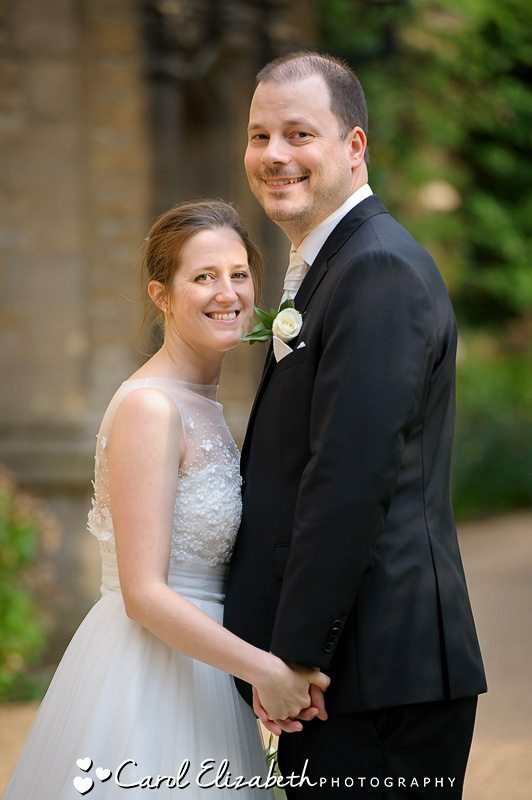 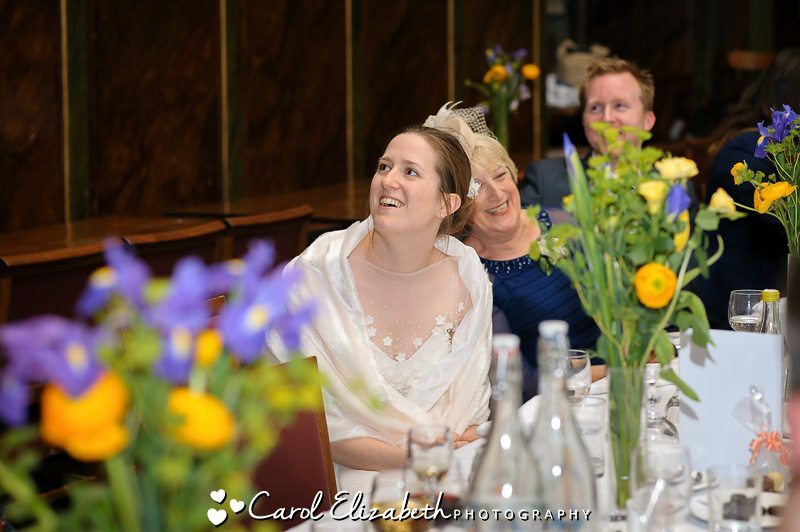 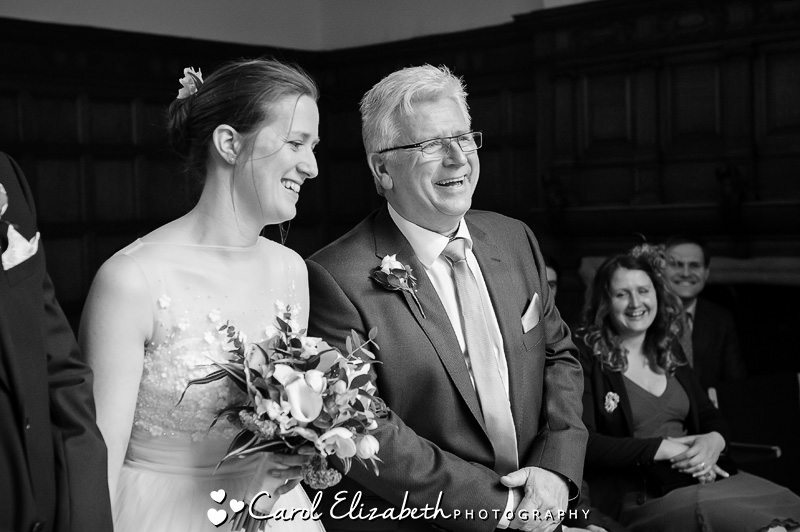 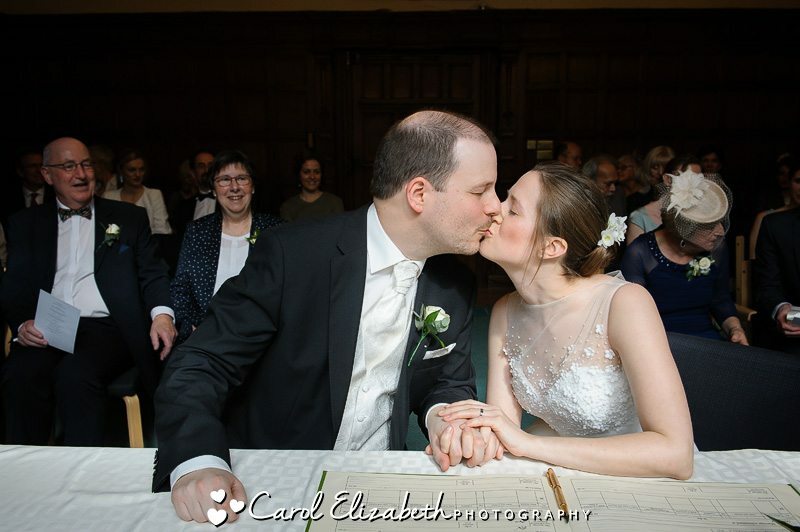 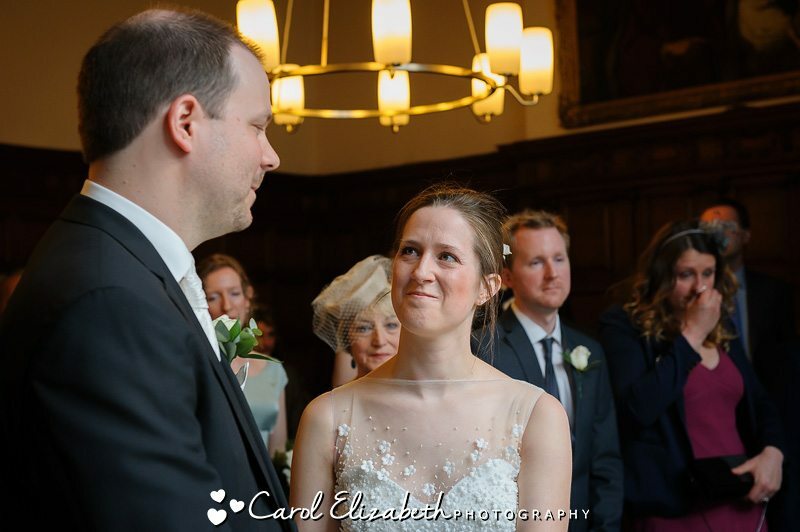 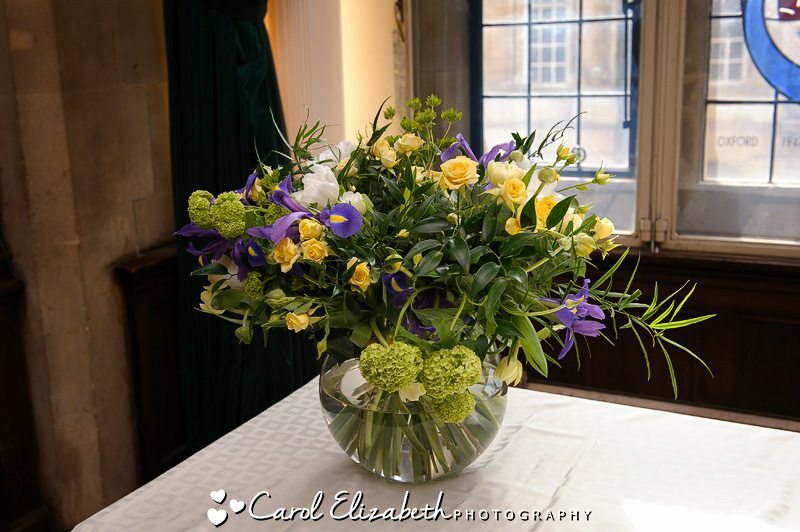 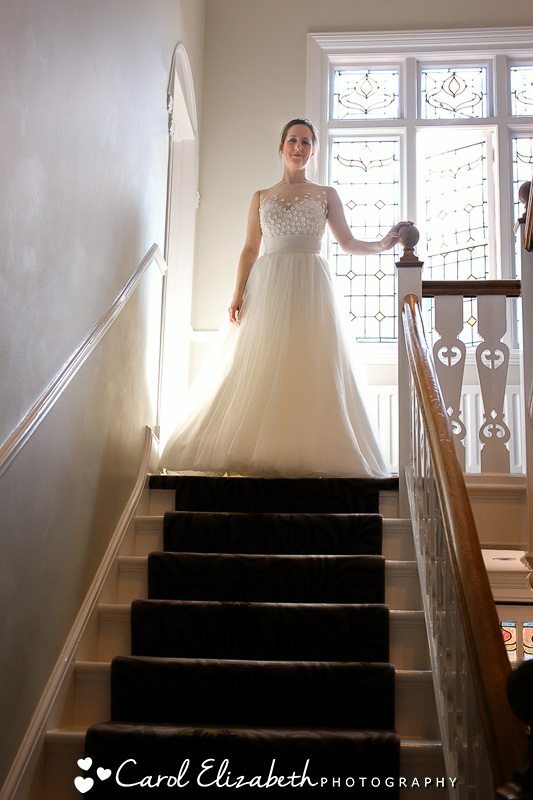 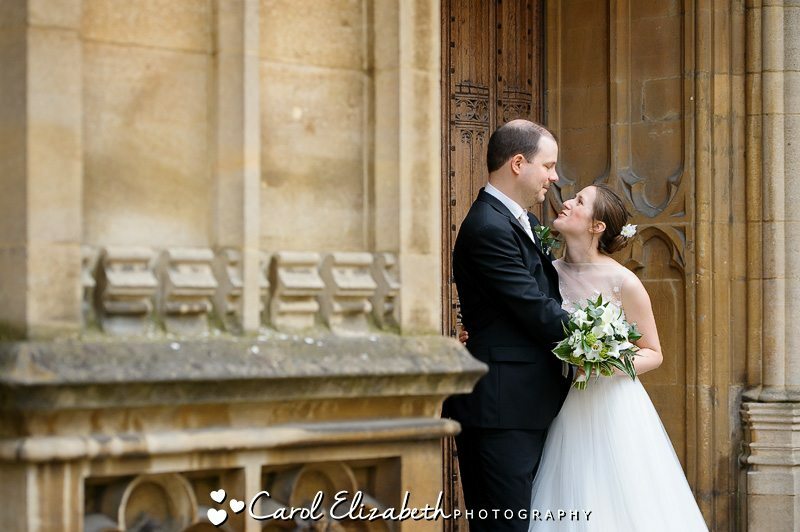 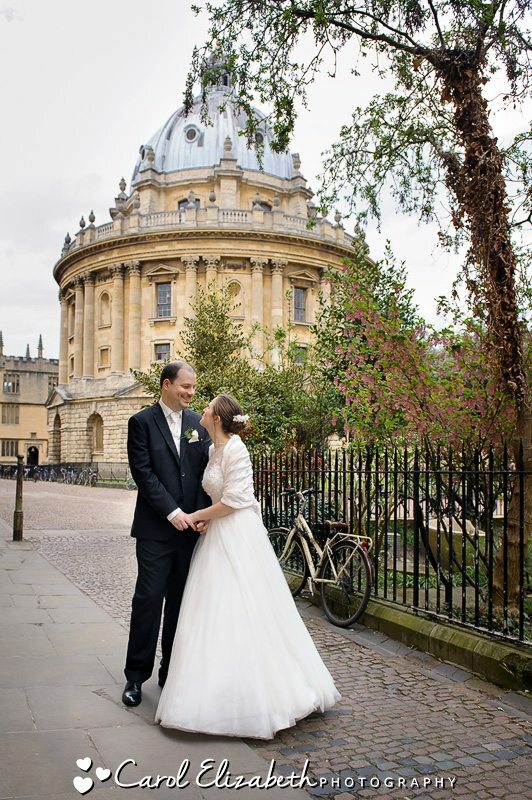 Nicola and Alex held their wedding at Oxford Town Hall followed by their Trinity College wedding reception – 2 amazing locations in our beautiful city. 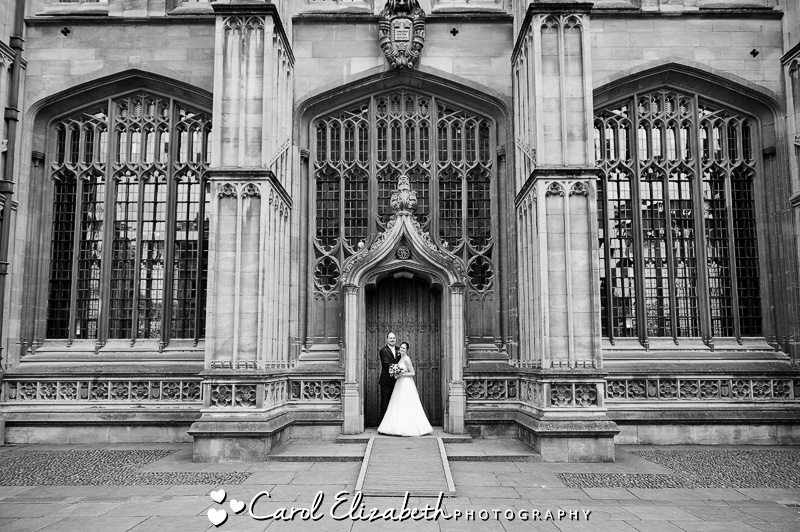 Please click here more information about Oxford College wedding photography. 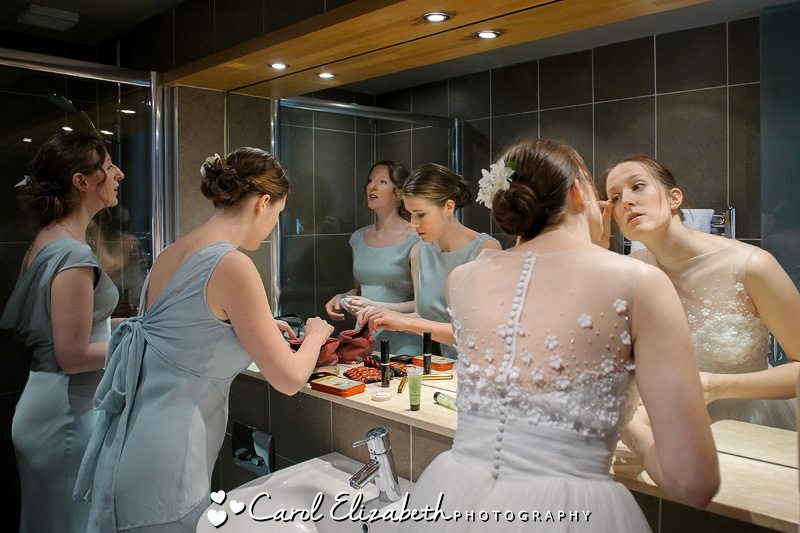 I went to meet Nicola and her bridesmaids for their preparations. 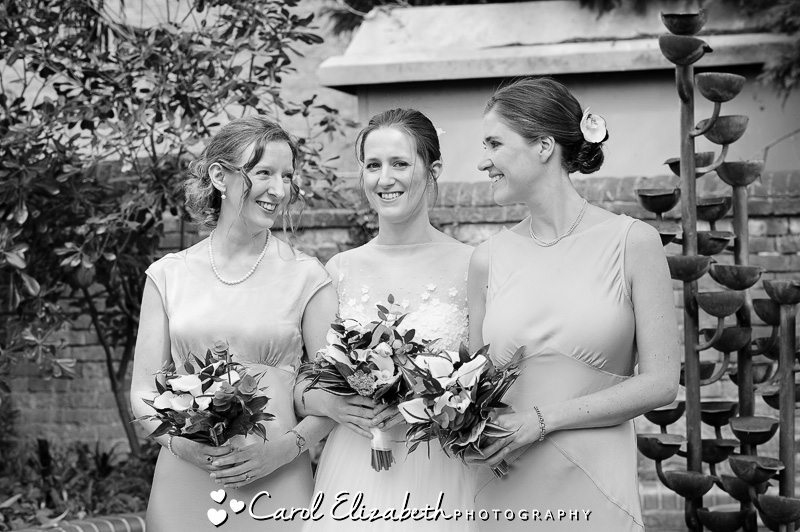 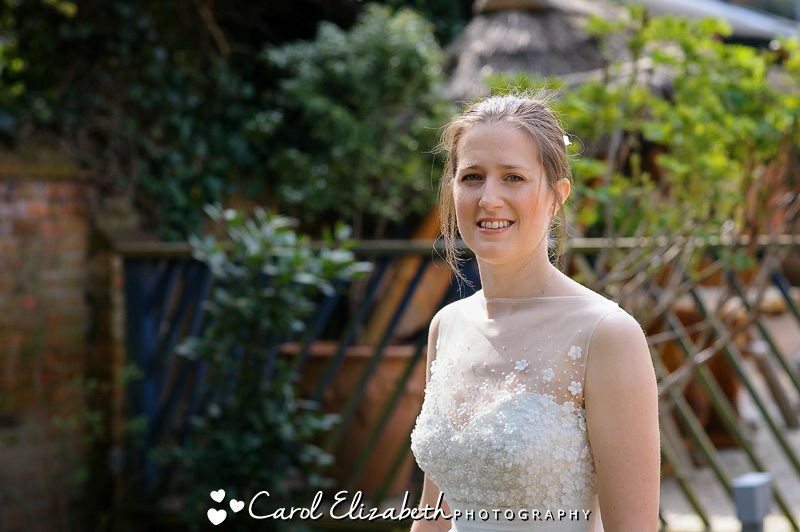 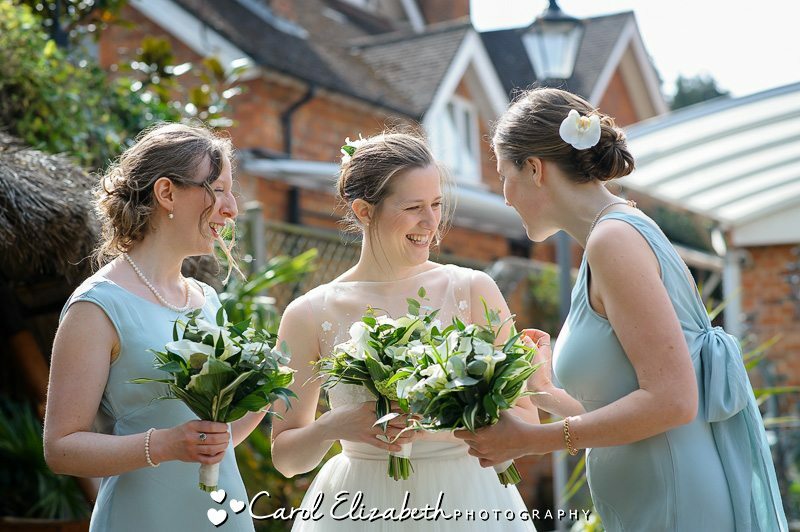 There were plenty of family and friends around, it was really fun and relaxed, and the beautiful sunshine in the garden of the Galaxy Hotel allowed for a few lovely portraits of Nicola with her bridesmaids. 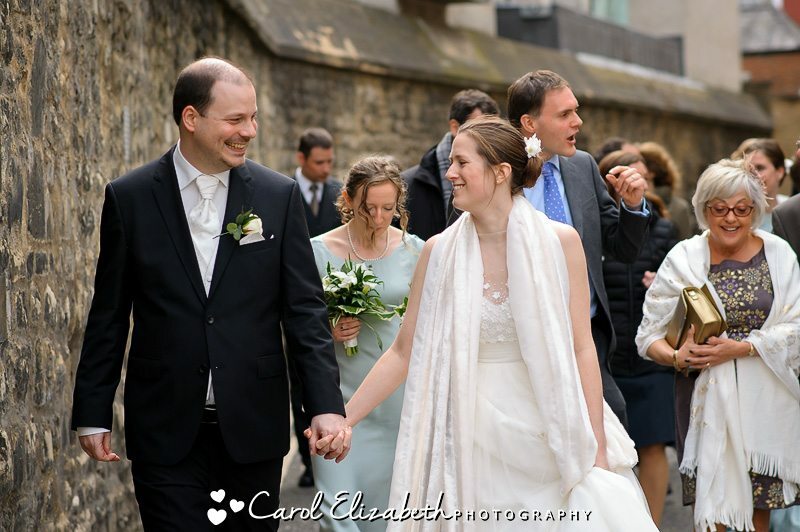 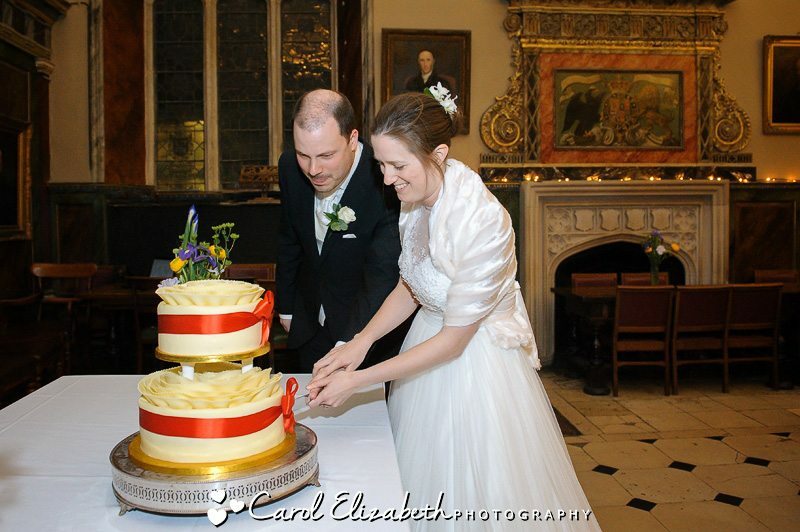 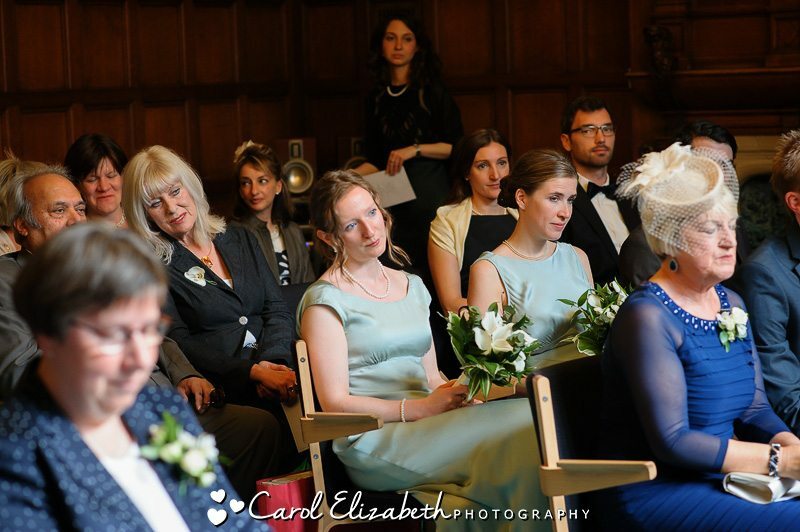 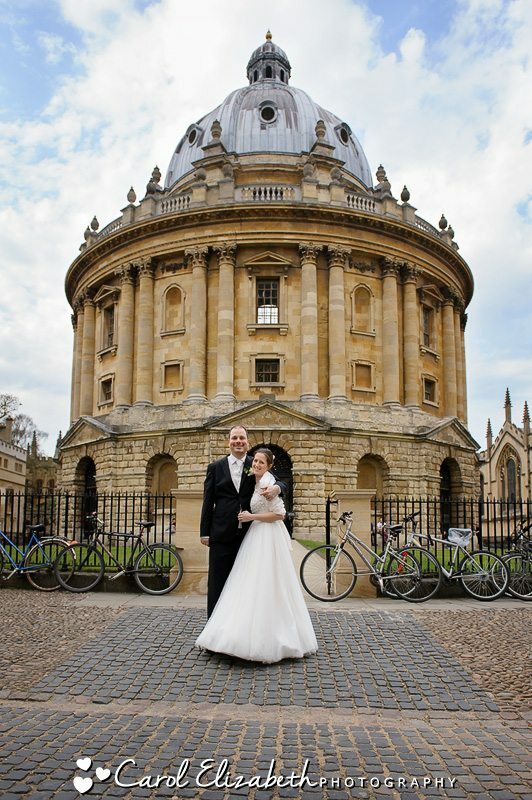 We then headed off to the Oxford Town Hall wedding service. 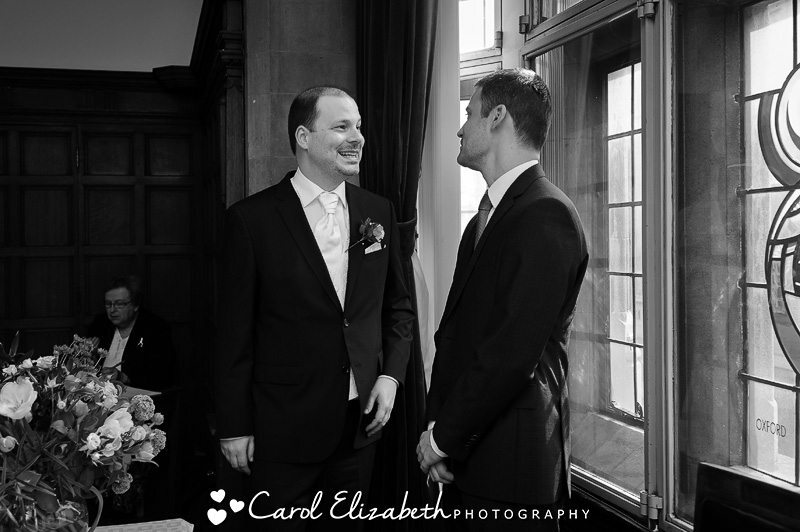 Alex and his best man and ushers were very calm! 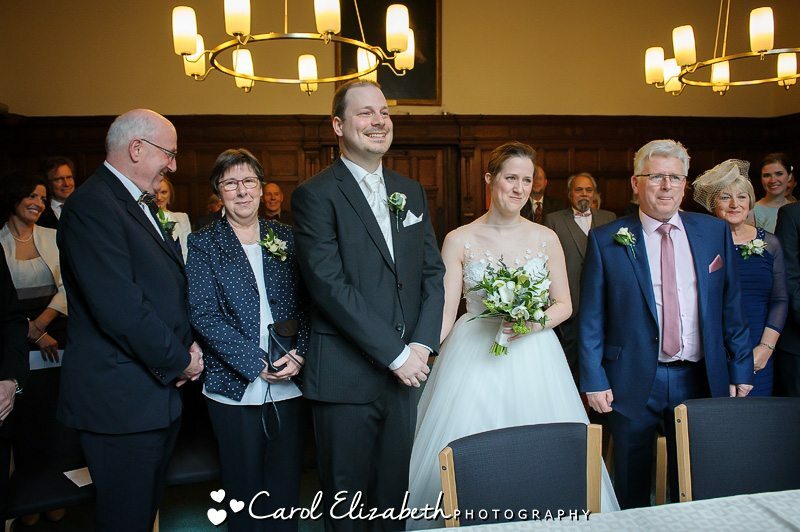 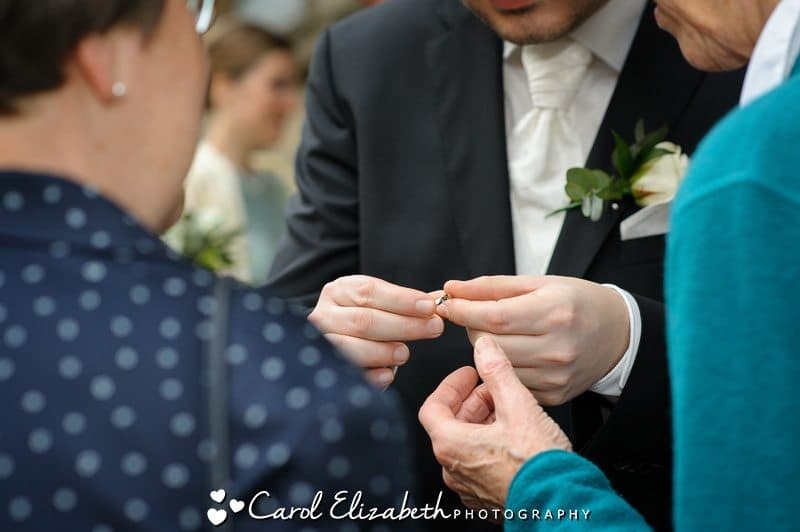 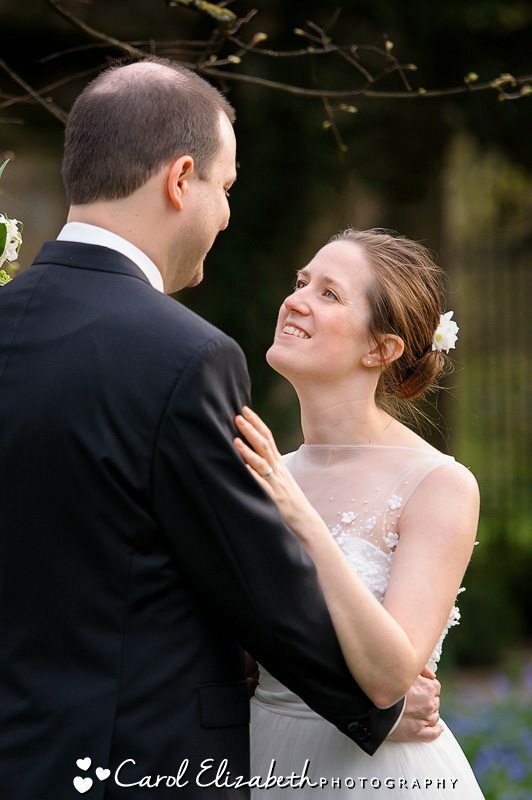 It was a small and intimate wedding ceremony with a few close family and friends, and the ceremony was really special with quite a few tears! 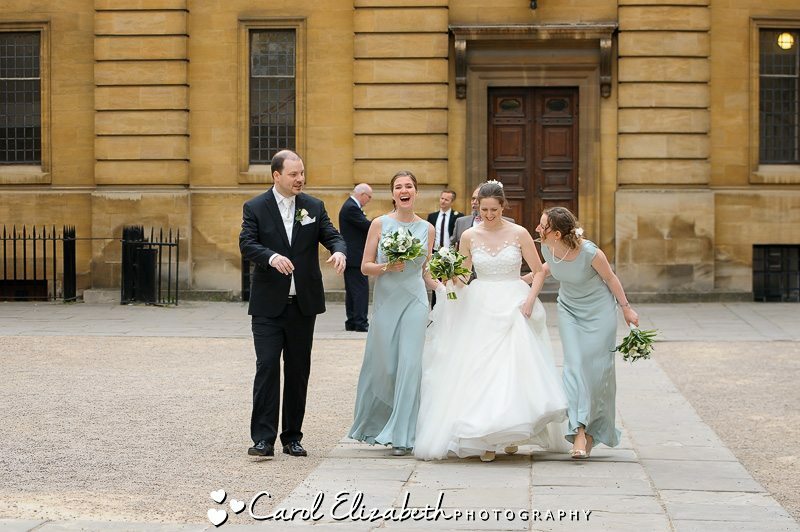 We then had some time for the guests to chat and have a glass of champagne before we had a few photos of everyone on the steps. 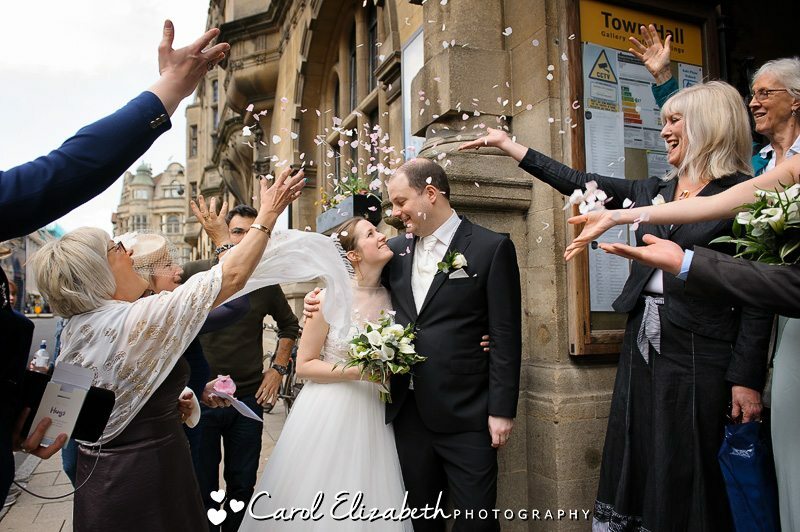 We then headed outside to throw confetti which was really fun as there were plenty of people watching and enjoying the festivities. 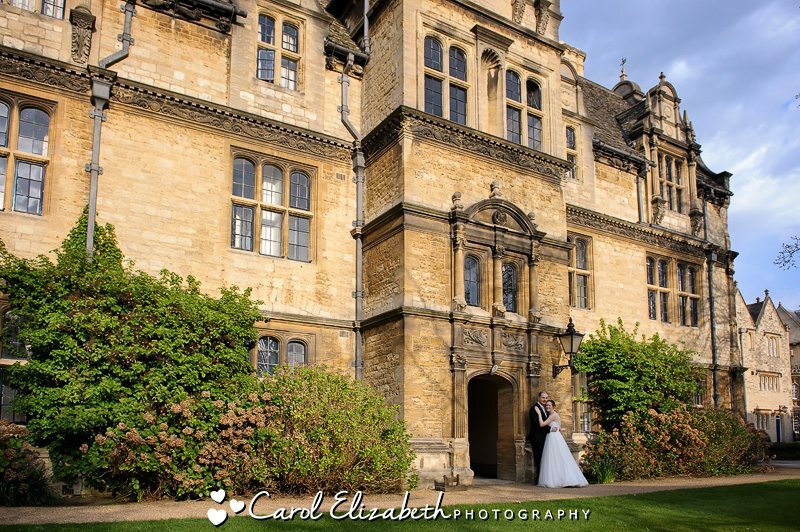 Weddings at Oxford Town Hall are always so enjoyable, especially when we can take a walk to some of the local historic buildings for a few more photographs. 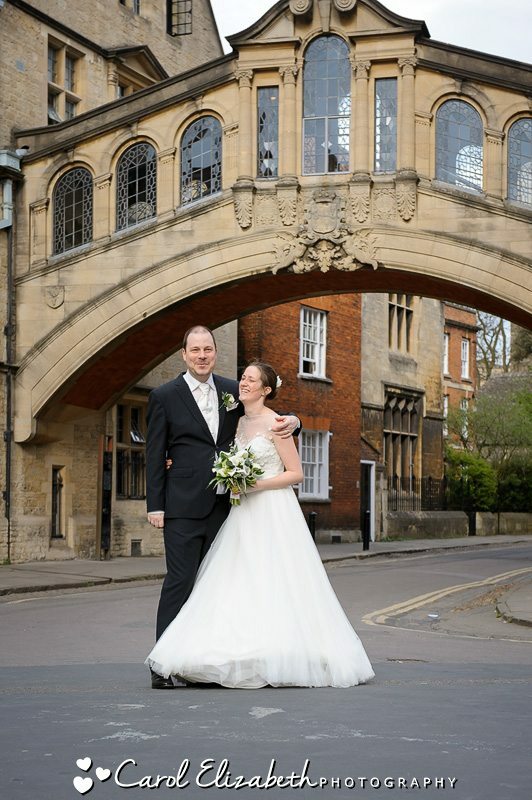 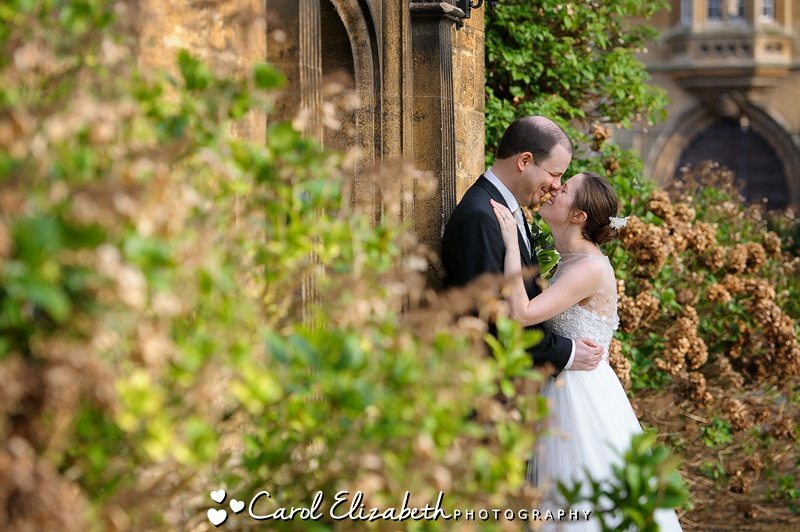 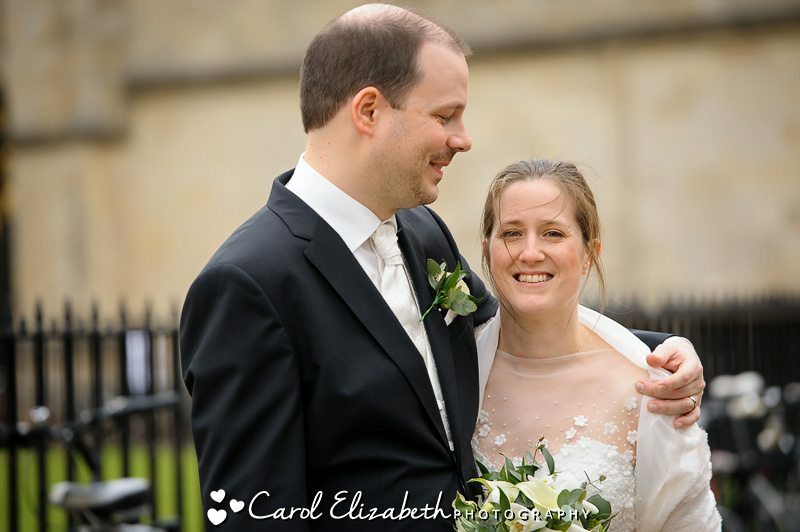 We stopped off for wedding photographs at The Bodleian Library and Radcliffe Camera as well as the Bridge of Sighs. 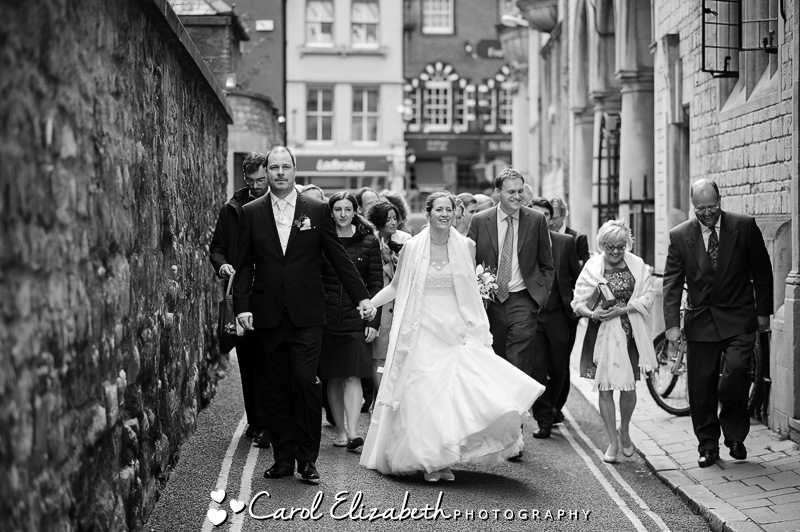 We had wonderful weather and the guests enjoyed the short stroll to the College. 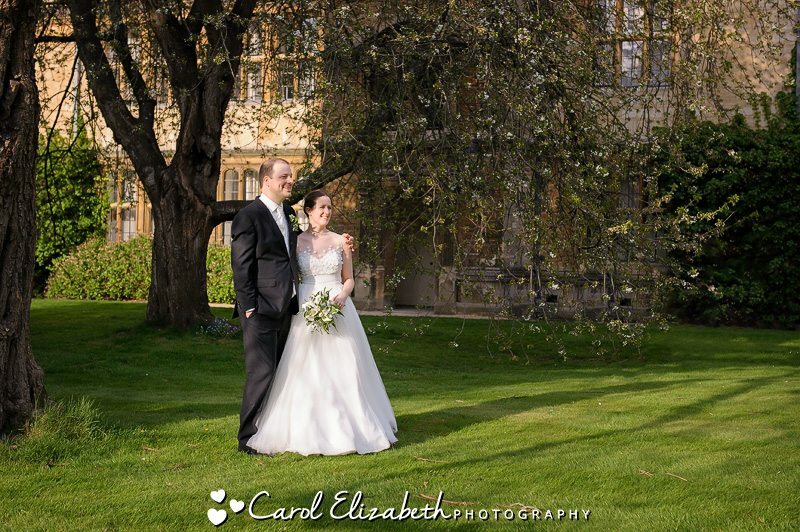 We arrived for the Trinity College wedding reception with plenty of time to spare. 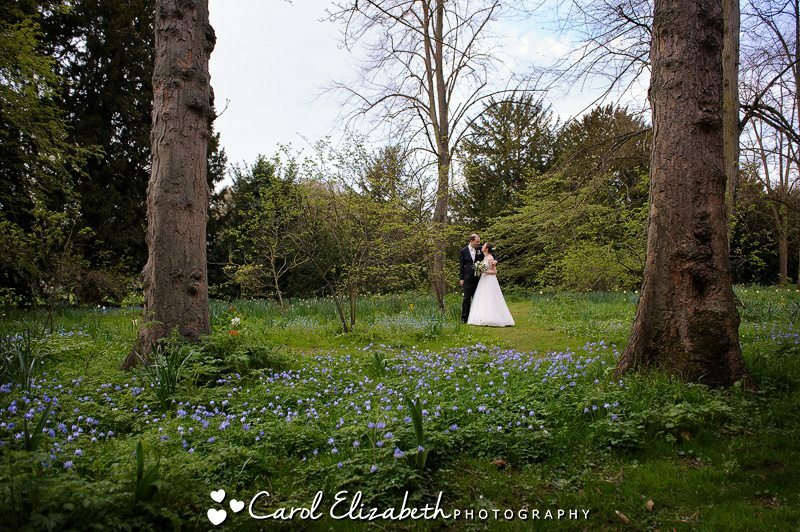 Whilst the guests enjoyed their drinks in the library I went for a walk in the grounds with Nicola and Alex. 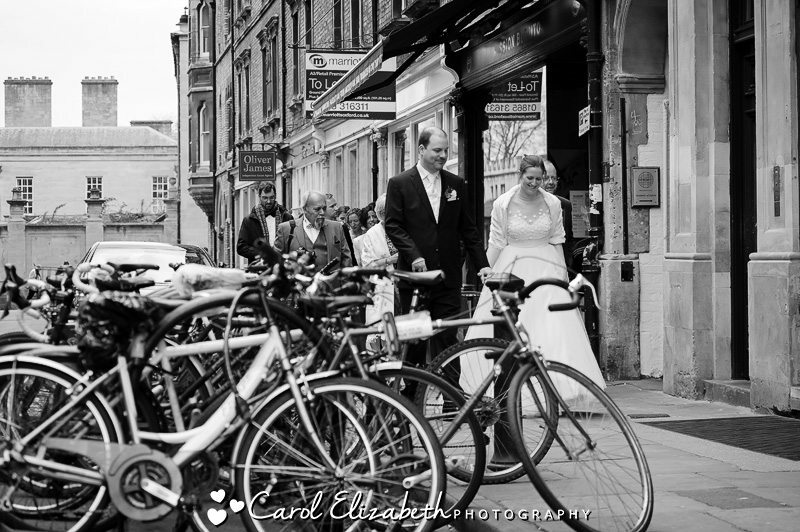 I really enjoy this part of the day – the couple are finally able to spend a few minutes together alone, and I feel its important to capture the location and environment, as well as the emotions of the newly-weds. 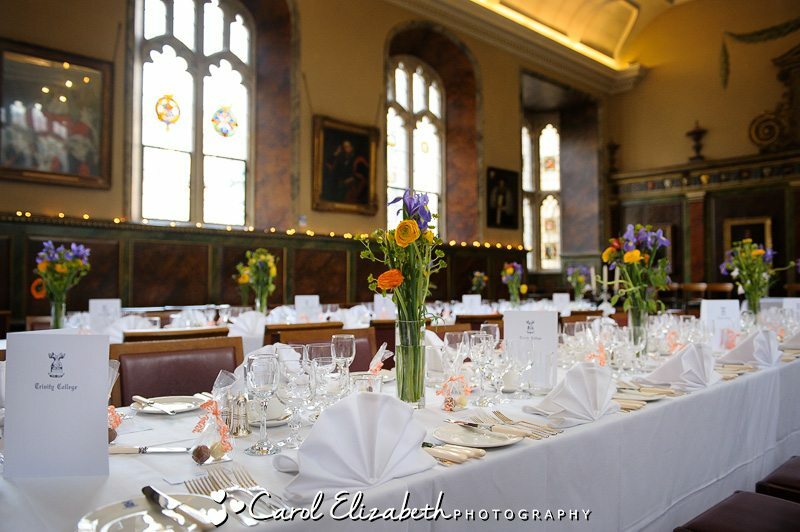 We then headed over to the dining hall for the wedding reception – Trinity College is such a grand building, the location was fantastic. 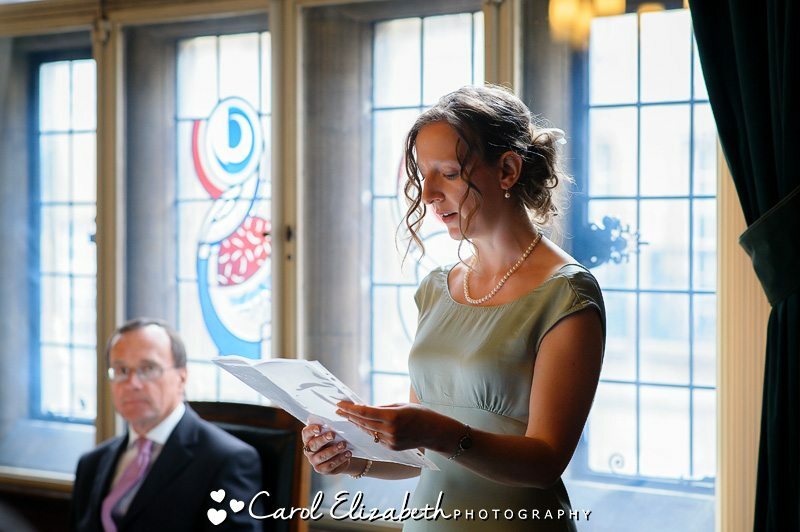 We enjoyed the speeches before the delicious meal was served. 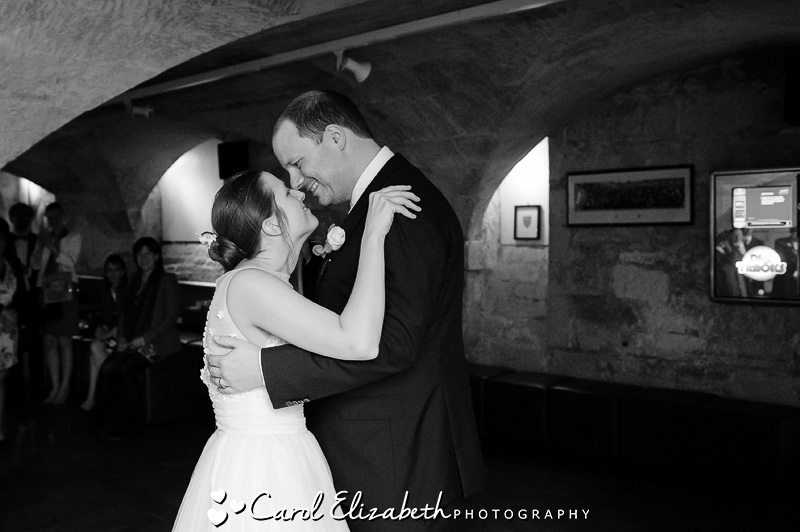 Everyone then headed down to the cellar for dancing and festivities. 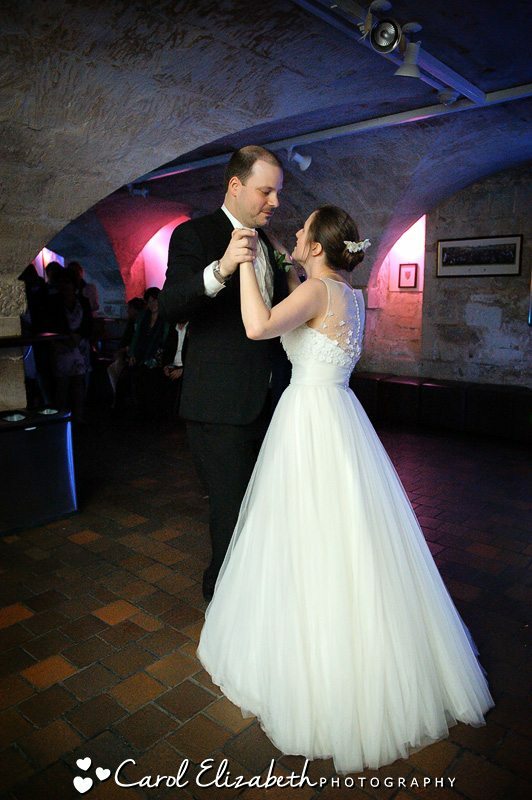 What an end to a truly wonderful day.